Trade shows offer businesses a great way to market their products and services to the public and others in similar industries. If you are gearing up to attend your very first trade show as an exhibitor, and you want to be sure you are prepared for everything that will be thrown your way, then these tips are meant for you. Here’s a look at all the trade show basics, including a few lesser-known tips. As an exhibitor, you will be given a booth where you can display company information and answer any questions people may have. It’s a good idea to go into the trade show assuming that you’ll be at the booth at all times. This means you want to pack a few snacks that are high in protein to give you that burst of energy, plenty of water to stay hydrated, your laptop if you plan on doing a little work or need it for presentation purposes, and comfortable footwear since not all booths offer seating. Another tip is to make sure your booth is well-stocked with company swag. It’s incredible how swag and giveaways will draw people to you, but it truly works. Ideally, the items you give away should be branded. Even if they are simple items, like snack bars or water bottles, they should still have your company logo on them. Custom lapel pins are a popular item and can even be attached to other items you may be giving away, such as bags and t-shirts. Some people choose to give the swag away for free, whereas others ask for something in return. Maybe you want to be given a business card or contact number in return for the swag. Or maybe you could ask people to sign up for your newsletter in return for a gift. Depending on what kind of business you have, it may also be necessary to bring your office with you. That means your laptop, notebook, pens/pencils, fact sheets about your business, presentation materials, etc. Anything that might be needed when you are speaking with visitors should be packed. While a good portion of your time will be spent in your booth, it’s also important you get out there and network. You never know what business contacts you will be able to make, not just with attendees but also with other exhibitors. With that said, make sure you are well-stocked on business cards before attending the show. It’s also important to see the trade show as a research opportunity. This is your chance to get feedback from consumers, clients, and the competition regarding your product and services. It can prove to be quite valuable for your company. 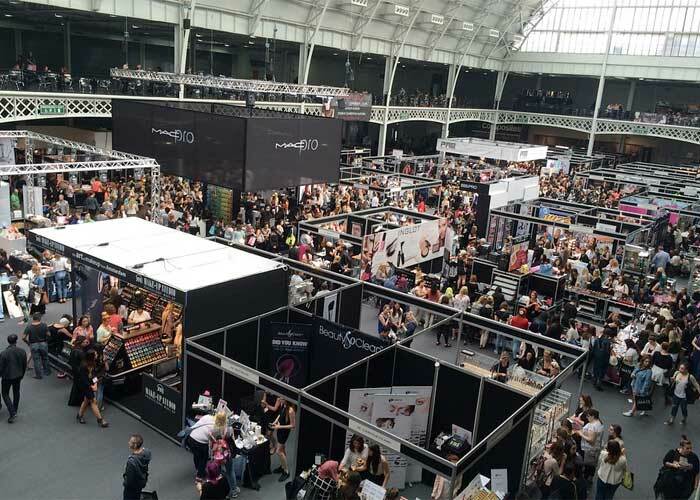 Attending your first trade show as an exhibitor is bound to be an overwhelming and busy experience, which is why it’s important also to show up prepared. By doing this, you’re sure to have a successful show.